595 Express consists of three tolled, reversible Express Lanes. Each lane is 12 feet wide and there is a full 10 foot shoulder on each side. All motor vehicles, including trucks, will be allowed to use the Express Lanes.  All users will be charged a toll and must have a SunPass transponder and an associated pre-paid account. No cash transactions or toll by plate are allowed.